Convicted Coal Mine CEO Is Taking His Case To The U.S. Supreme Court : The Two-Way Former Massey Energy CEO Don Blankenship announced his plan to appeal after he completed a one-year federal prison sentence for conspiracy to violate federal mine safety laws. 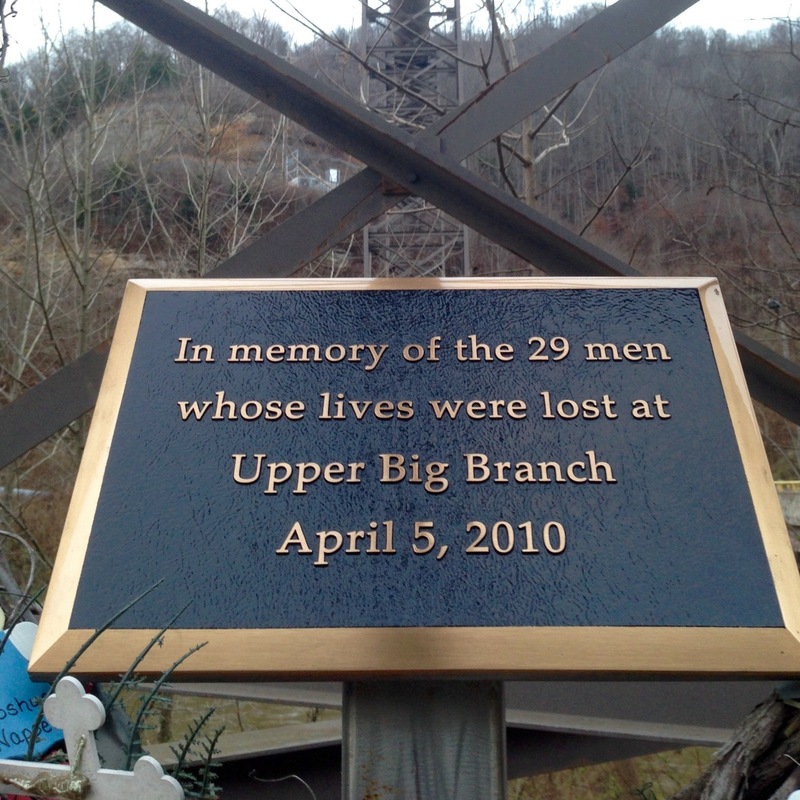 A plaque memorializes 29 miners killed in a 2010 explosion at a Massey Energy mine in West Virginia. Former Massey CEO Don Blankenship wants the U.S. Supreme Court to overturn his conviction on charges of willfully violating mine safety and health standards. Former Massey Energy CEO Don Blankenship is marking his release from federal custody with an appeal for vindication by the U.S. Supreme Court. Blankenship served a one-year federal prison sentence after being convicted of conspiracy to violate federal mine safety laws. The charges stemmed from the disaster at a Massey Energy mine in West Virginia in 2010 that left 29 coal miners dead. "We never give up," says Blankenship attorney William Taylor, who notified the 4th Circuit Court of Appeals on Thursday that Blankenship will petition the U.S. Supreme Court to review the case. In his first two days of freedom, Blankenship has posted a blizzard of tweets declaring his innocence and blaming the Upper Big Branch mine disaster on federal regulators and what he says was a natural inundation of natural gas. Multiple investigations blamed the explosion that ripped through the mine on inadequate safety protections, including excessive explosive coal dust, inadequate ventilation and worn out equipment. Federal prosecutors cited Blankenship's micromanagement and obsessive focus on coal production in the conspiracy trial that resulted in his conviction and imprisonment. The charges were based on safety practices at Massey Energy and Upper Big Branch but were not directly related to the deadly explosion. Blankenship's conviction was upheld by the federal appeals court. Taylor argued that the jury instructions during Blankenship's trial were unfair, pinning conviction on "reckless disregard" of mine safety laws rather than intent to violate the law. As Ken Ward, Jr., reported in the Charleston Gazette-Mail, the defense argued on appeal that "the government fully exploited these novel willfulness instructions to obtain a conviction for not doing enough concerning safety rather than for intending to violate the law." Taylor is confident the Supreme Court will take the case. "It's a pretty clear issue," he says. "We're either right or wrong about that." Taylor also insists that the timing of the Supreme Court petition notice "has nothing to do with [Blankenship's] incarceration status," even though it was filed the day after Blankenship's release, and as Blankenship took to Twitter with a spirited defense.